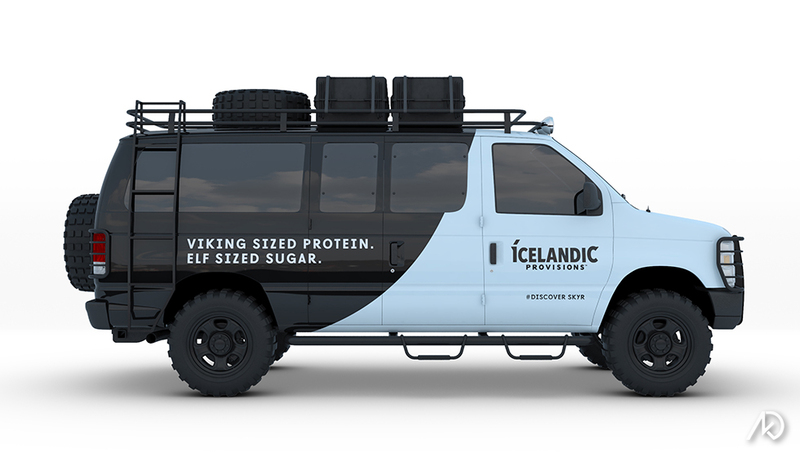 The following 3d illustrations showcase a new design modification for a proposed touring van. 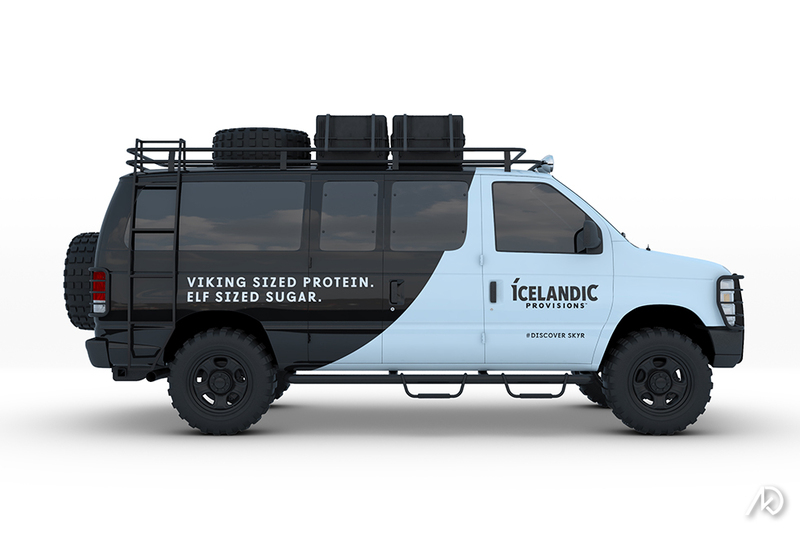 The van will tour and hand-out new product samples to the general public. 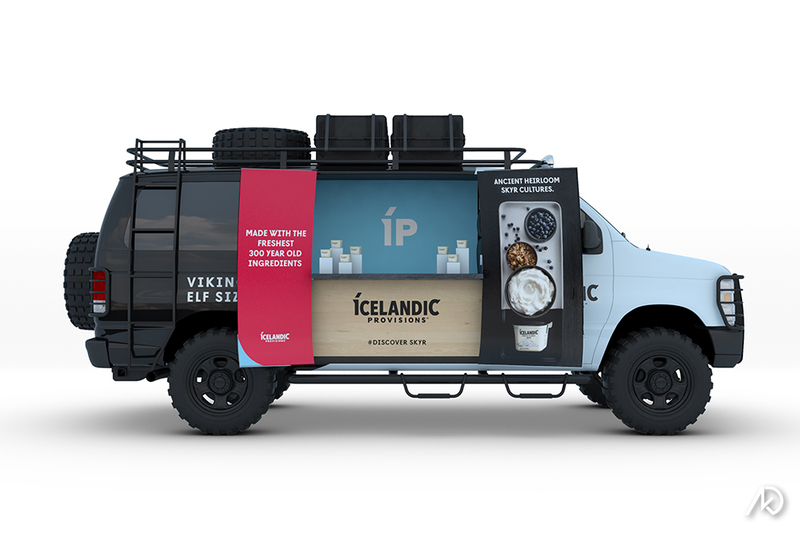 As part of the Icelandic Provisions Sampling Tour, they needed a van customized to their needs and overall brand. vibe, which also included a vinyl graphic wrap. I modified the exterior cargo van with larger, off-road tires, grills on the head lights, grills on the tail lights, lifted the suspension, added step-ups, a ladder, a luggage rack, and storage cases. The interior contains a refrigeration unit for the samples, a branded counter, and graphics.